Old Holland New Masters Gessos are universal lightfast primers for use on a variety of surfaces, including canvas, cotton, paper, and stone. They can be diluted with water, up to a maximum of 20%. Apply them in multiple layers, with 3 to 4 hours of drying time between layers. 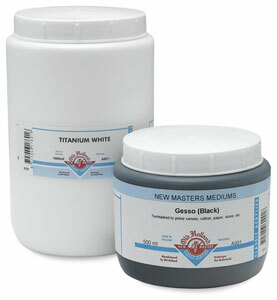 They are suitable as a primer for acrylics, oils, watercolors, and egg tempera, and can be mixed with all New Masters Classic Acrylics colors.